05 February 2019 Hi, I am a respondent in a High Court WP filed by my opponent and after 5/6 months few hearings the High Court on 13th Dec closed the petitions for Order now its more than a month but still no order uploaded. Can I visit the Honorable High Court (The Judge) and ask them that the Matter is closed for order since 13th Dec 2018 and I am dying to know the order. Because some illegal occupant have the possession of my fathers (deceased) room since 2007 and now SRA had passed an order to vacate the illegal occupants which they challenged in this HC . I think its more than 10 years the Illegal Occupier have the possession of SRA Rehab buildings rooms which he suppose to vacate as per 3E order of SRA Dy.Collector. Please advice can I go to the court and ask the honorable Justice to pass an order the earliest as we are waiting for the possession since 10 years. 05 February 2019 Yes you can go to HC but contact court master about order and not judge. 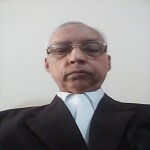 05 February 2019 Yes as advised by Senior Mr.R.K.Nanda you could verify this in a pleasing manner with concerned court's Bench Clerk. If they say the Orders are not ready your Advocate could plead it with the concerned Judge and not you unless and other wise you are Party in Person in the Suit. Have you checked with your Advocate please.